Waxing is one of the most popular methods for women that are seeking to remove hair. There are two main types of waxing methods that are used to remove hair from the bikini line; Hollywood wax and Brazilian wax. Brazilian wax removes all of the hair from the crotch area but allows the client to also choose whether they would like to leave a small amount of hair in the top of the area. The hair that is left in the area can be left in a traditional triangle or even a small patch of rectangular hair that is often referred to as the 'landing strip'. The Hollywood wax removes all of the hair from the area, leaving no hair through the top of the pubic bone. The Hollywood wax is also commonly referred to as the 'sphynx' appropriately. 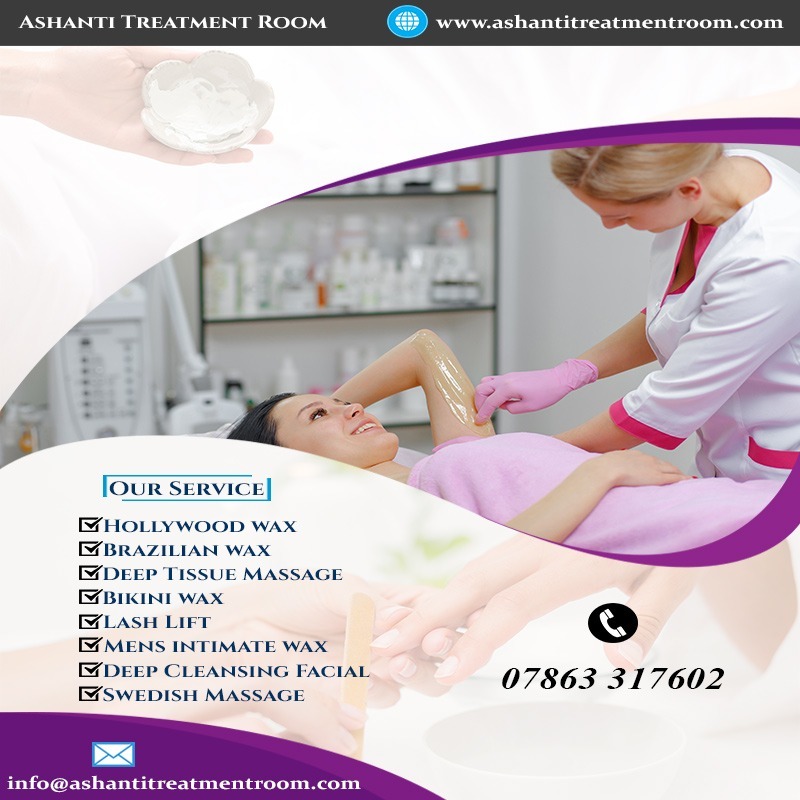 If someone is looking for a reliable beauty salon to get superior services in Brazilian wax and Hollywood wax in London, he/she can contact Ashanti Treatment Room. They deliver an affordable wellness & spa experience which doesn't compromise on luxury, with the core, measurable health benefits to the customers. Please refer to the website for more details.